ESDSA.com is South Africa's most comprehensive source of Enterprise and Supplier Development Programme information. 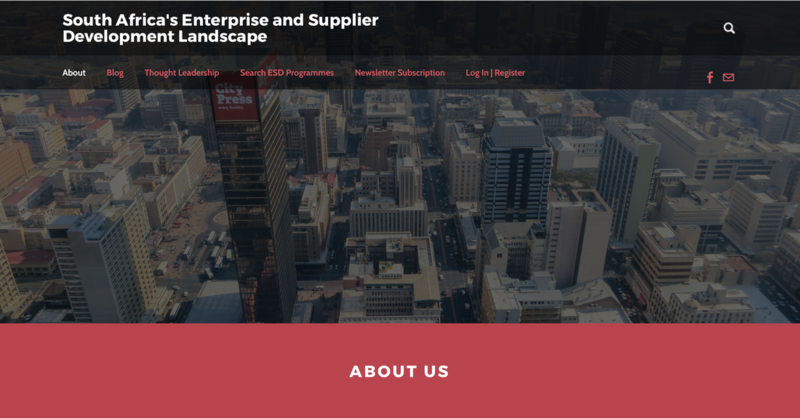 We've done months and months of research on the programmes that exist in the South African Enterprise and Supplier Development landscape so that entrepreneurs don't have to. It is easy to use sector, industry, funding type, funding company, demographic information and other terms to find the program that speaks to your needs. Upwards and onwards!